Ferry passengers are being warned that the Shields Ferry will be out of operation until next week. Officials have made the decision to suspend the service for up to one week after discovering damage to the North Shields landing. Nexus, the public body which owns and operates the cross-Tyne passenger service, discovered structural damage yesterday (Monday) and had suspended services to allow a full examination to take place. The repair work on the landing is to be carried out in the coming days and until that is completed it will remain closed to passengers. Nexus cannot operate river crossings when the North landing is out of service as it means that the ferries have nowhere to dock. 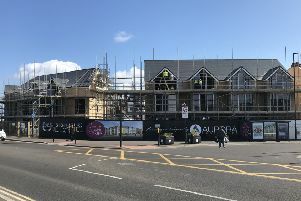 Head of Customer Services and Communications at Nexus, Huw Lewis, said: “The north landing will remain closed for up to a week until repairs are carried out. “Our contractors will work around the tides and the winter weather but we hope to see the service return early next week. I am sorry for the disruption this will cause to our customers. “An inspection of the north landing has shown up some structural damage. We are already in the process of arranging for this to be fixed. Safety is our top priority at all times. A frequent Ferry replacement bus service is in operation for passengers this evening and throughout Tuesday, 22 November, calling near both landings. Buses depart from South Shields Ferry Landing on River Drive (B1344) - just outside the BT building. Buses depart from North Shields Ferry Landing at the bus turning circle, just outside the landing area. Passengers who have a bike will not be able to use the replacement buses with their bikes. Bikes can be used on the Tyne Tunnel shuttle bus, 6am to 8pm, which runs between Jarrow and Howdon.